If you're a fan of all things outdoors, this wall sticker is for you! 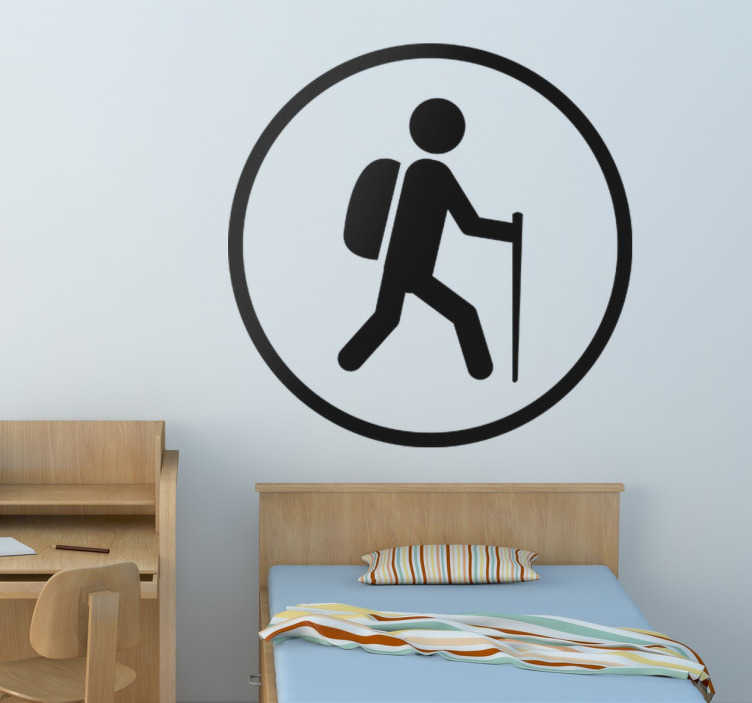 Hiking, mountain climbing and general outdoor exploration lovers everywhere will love this simple yet to the point monochrome design of a stick man wearing a backpack and holding a walking stick within a circle outline. Not only is this decorative vinyl suitable for anywhere within the home, but it's also suitable for outdoor application including onto glass or cars!